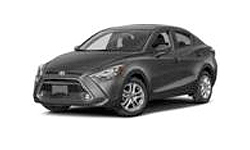 The 2018 Toyota Yaris iA from High Country Toyota in Scottsboro, AL – serving Albertville, Anniston, Fort Payne, Gadsden, Guntersville, and Madison – is a sports sedan with impressive features. The stunning profile graces everyone with your undeniable presence. A chrome-tipped exhaust shines from the rear to signal the power of a 1.5L 4-cylinder engine inside. Up to 30 MPG in the city and 39 MPG on the highway is at your fingertips with this efficient powertrain.1 Inside you’ll find a comfortable place to relax and recharge. Sport-contoured front seats fit the curves of your back just right, and the 60/40 split-folding rear seats make room for all your necessities. Standard Bluetooth wireless technology syncs to your smartphone so you can indulge in your favorite songs or chat with a loved one over a hands-free calling system. 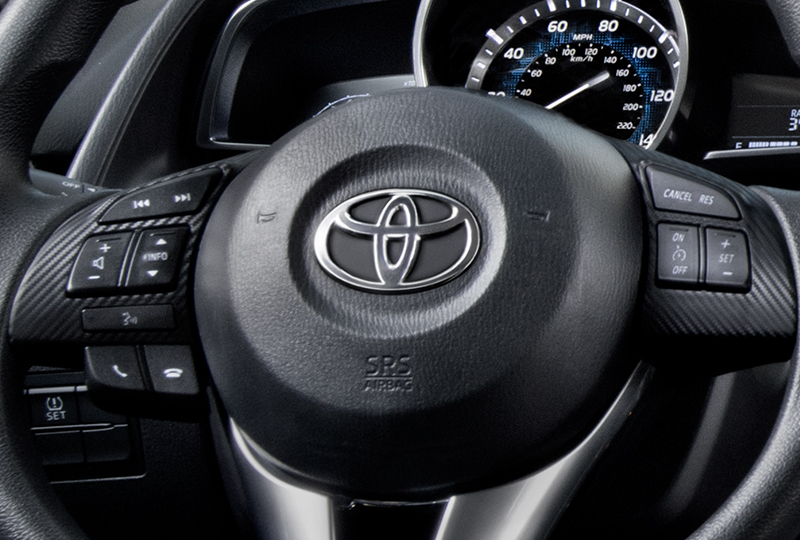 Convenience is key; that’s why you love having remote keyless entry, push-button start, and a rearview camera as standard features on your Yaris iA. The perfect fit for the perfect drive. 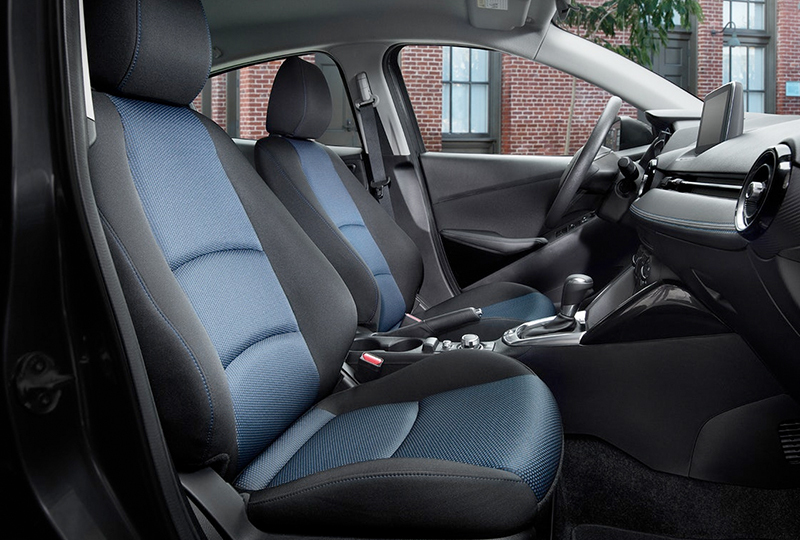 Yaris iA features sport-contoured seats for the driver and front passenger. Inspired by high-performance cars, these seats are extra supportive and help keep you snugly in place so you can get more smiles from every drive. Embrace your sporty side. 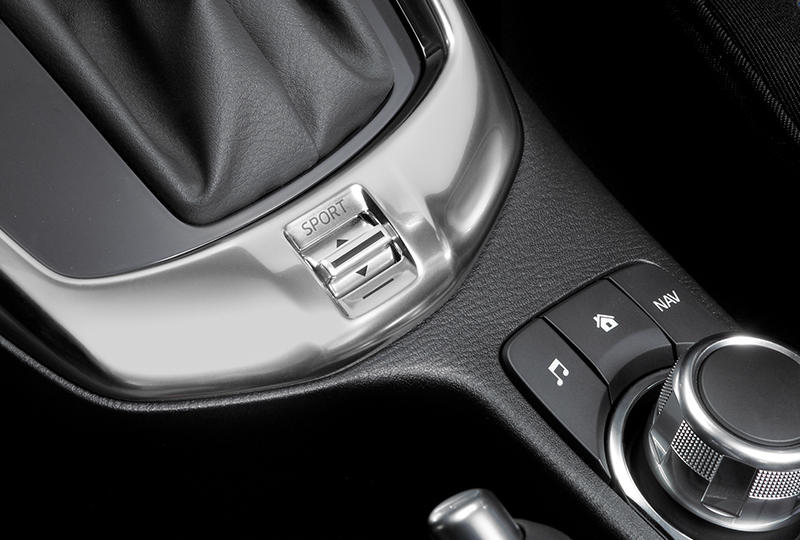 The available Sport Mode button on the center console of Yaris iA allows you to enable Sport Mode, which adjusts the engine control unit and shift points to give a sportier feel to your drive. When you’re behind the wheel, you can be the DJ, too. The standard steering wheel-mounted audio controls let you control your tunes while keeping your attention on the road ahead. 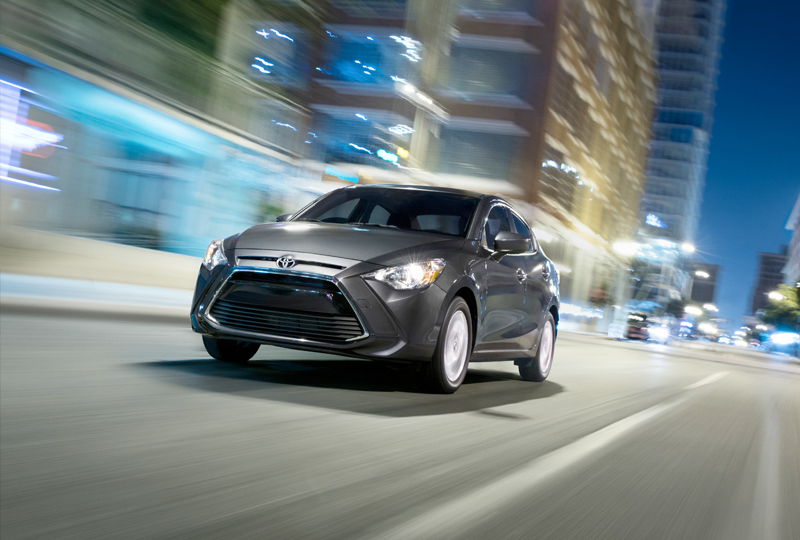 Yaris iA comes standard with an advanced Active Safety System that includes Dynamic Stability Control (DSC), Traction Control System (TCS), Anti-lock Brake System (ABS), Electronic Brake-force Distribution (EBD), Brake Assist (BA) and Brake Override System (BOS). 13) May not be compatible with all mobile phones, MP3/WMA players and like models. Brake Over-ride System operates only in the event of certain simultaneous brake and gas pedal applications. When engaged, the system will reduce engine power to help the brakes bring the vehicle to a stop. Factors including speed, road conditions and driver input can all impact stopping distance. Brake Over-ride System is not a substitute for safe and attentive driving and does not guarantee instant stopping. See Owner’s Manual for details.